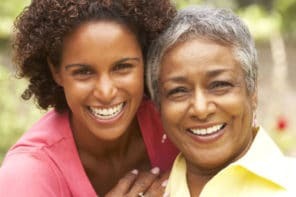 DailyCaring.com was founded to create a positive experience for the 43+ million adult family caregivers caring for someone 50 years or older in the United States. We help by providing tips, resources, news, support, and community wisdom. DailyCaring.com provides helpful information and guidance on topics from health and housing to finances, legal issues, and family matters. We believe in giving caregivers the information and other resources they need to help improve health and wellbeing, make better decisions, save time, save money, and to not feel alone or isolated. Our Website provides helpful articles, expert information, time-saving tips and checklists, easy-to-use tools, and personal support from a large community of caregivers. We also connect to other websites that may provide you with information, tools and other resources. 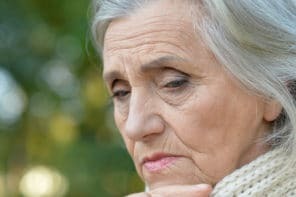 DailyCaring.com is an informational resource to help you assist your aging parent or loved one. While we hope to provide you with useful information and assistance, we do not provide medical advice, diagnosis, or treatment; legal, financial, or professional advice; or specific advice regarding which service providers you should use. Any decisions that you need to make about the care of a loved one should be made after engaging and consulting with a professional licensed service provider based upon your specific needs or conducting your own careful review and investigation. DailyCaring.com may change, modify, update, add, or remove portions of these Terms at any time. Please check these Terms periodically for changes. Your continued use of our Website following the posting of any changes will signify your acceptance of those changes. To use certain parts of our Website (e.g., posting comments), you may be asked to provide certain information about yourself, including your first name, e-mail address, password, city and state or Zip code. DailyCaring.com provides you with access to a great variety of resources. The materials, information, and links to third party sites, provided on our Website, including but not limited to information, documents, images, articles, advice, time-saving tips and checklists, easy-to-use tools, products, software, and services, if applicable (“Materials”), are provided either by DailyCaring.com or by others and may be copyrighted and/or protected by other intellectual property rights. DailyCaring.com hereby grants you limited permission to use the Materials provided by DailyCaring.com subject to these Terms, as long as the use of such Materials is solely for your own informational use. Unless stated within the Materials, none of the Materials may be copied, reproduced, distributed, republished, downloaded, displayed, posted, or transmitted in any form or by any means, including but not limited to electronic, mechanical, photocopying, recording, or other means, without the prior express written permission of DailyCaring.com and/or the appropriate owner. Also, you may not “mirror” any Materials contained on our Website or any other server without DailyCaring.com’s prior written consent. • upload, post, publish, reproduce, transmit, or distribute in any way any component of our Website itself or derivative works with respect thereto without our prior written consent, as our Website is protected under U.S. copyright laws. In attempting to provide you with comprehensive and useful resources, our Website may contain links to third-party websites which are not under the control of DailyCaring.com. DailyCaring.com is not responsible for the content of or products provided by any linked site or any link contained in a linked site, or any changes or updates to such sites. DailyCaring.com is providing these links to you only as a convenience, and the inclusion of any link does not imply that DailyCaring.com endorses, guarantees, or accepts any responsibility for the content or products on such a third-party site. In addition, DailyCaring.com will accept advertising on our Website. Any dealings that you have with advertisers found on DailyCaring.com are between you and the advertiser and you acknowledge and agree that we are not liable for any loss or claim you may have against an advertiser. In connection with your use of our Website, you may be made aware of services, products, offers, and promotions provided by third parties, and not by DailyCaring.com. If you decide to use third-party services or products, you are responsible for reviewing and understanding the terms and conditions governing any third-party services or products. You agree that the third party, and not DailyCaring.com, is responsible for the performance of the third-party services or products. In an effort to continually improve our Website and its usefulness to you, we may add additional services or make changes to existing services. In the event that DailyCaring.com makes such changes, these Terms shall apply to the new services and to any changes to existing services. DailyCaring.com does not claim ownership of any of Your Content that you may post. However, by posting Your Content to public areas, comments areas, and/or other community areas on DailyCaring.com, you grant DailyCaring.com, its affiliates, partners, and distributors the perpetual royalty-free right to use, copy, display, perform, distribute, adapt, create derivative works, sublicense and promote Your Content in any medium and any manner whatsoever, and to use and sublicense your name, likeness, biography, voice and photograph (if applicable) to attribute your postings to you. In addition to Your Content, you may submit feedback to us. We encourage you to provide us feedback. You agree that we may use in any manner and without limitation all comments, advice, recommendations, suggestions, complaints, and other feedback you provide relating to Our Website, and that DailyCaring.com will own all intellectual property that we create based upon or incorporating your feedback. EXCEPT AS EXPRESSLY PROVIDED OTHERWISE AND TO THE MAXIMUM EXTENT PERMITTED BY LAW, OUR WEBSITE AND ALL MATERIALS, INFORMATION, POSTINGS, OPINIONS OR SERVICES ON OUR WEBSITE OR LINKED FROM OUR WEBSITE ARE PROVIDED “AS IS” AND “AS AVAILABLE” WITHOUT WARRANTY OF ANY KIND AND DAILYCARING.COM AND ITS SUPPLIERS, THIRD PARTY SERVICE PROVIDERS, PARTNERS AND EXPERTS (HEREINAFTER COLLECTIVELY REFERRED TO AS “SUPPLIERS”) HEREBY EXPRESSLY DISCLAIM ALL WARRANTIES OF ANY KIND, WHETHER EXPRESS OR IMPLIED, INCLUDING BUT NOT LIMITED TO IMPLIED WARRANTIES OF MERCHANTABILITY, FITNESS FOR A PARTICULAR PURPOSE, NONINFRINGEMENT, AND TITLE. DAILYCARING.COM AND ITS SUPPLIERS MAKE NO WARRANTY THAT OUR WEBSITE WILL MEET YOUR REQUIREMENTS OR EXPECTATIONS, THAT ACCESS TO OUR WEBSITE OR ANY INFORMATION. POSTINGS, OPINIONS OR SERVICES LINKED FROM OUR WEBSITE WILL BE UNINTERRUPTED, TIMELY, SECURE, OR ERROR-FREE, OR THAT RESULTS FROM SUCH USE WILL BE ACCURATE OR RELIABLE, OR WILL BE SUITABLE FOR YOUR PURPOSES. IN ADDITION, DAILYCARING.COM IS NOT RESPONSIBLE FOR THE CONDUCT OF ANY THIRD PARTY SERVICE PROVIDER, PARTNER, CAREGIVER, CARE RECEPIENT OR EXPERT WHETHER ONLINE OR OFFLINE. NO ORAL OR WRITTEN INFORMATION RECEIVED BY DAILYCARING.COM, ITS SUPPLIERS, OR OBTAINED OTHERWISE WILL CHANGE THIS DISCLAIMER. Some jurisdictions do not allow these limitations, so the above limitations may not apply to you. YOU EXPRESSLY UNDERSTAND AND AGREE THAT DAILYCARING.COM (OR DAILYCARING.COM’S OFFICERS, DIRECTORS, INVESTORS, SUBSIDIARIES, AGENTS, ASSIGNEES, REPRESENTATIVES, ADVERTISERS, EXPERTS, SUPPLIERS, PARTNERS OR EMPLOYEES) SHALL NOT BE LIABLE FOR ANY DIRECT DAMAGES OR ANY SPECIAL, DIRECT, INDIRECT, INCIDENTAL, CONSEQUENTIAL, OR EXEMPLARY DAMAGES, INCLUDING BUT NOT LIMITED TO ANY DAMAGES WHATSOEVER RESULTING FROM LOSS OF USE, DATA, PROFITS, OR OTHER INTANGIBLE LOSSES (EVEN IF DAILYCARING.COM HAS BEEN ADVISED OF THE POSSIBILITY OF SUCH DAMAGES), RESULTING FROM THE USE OF OR THE INABILITY TO USE OUR WEBSITE, REMOVAL OR TERMINATION OF OUR WEBSITE, UNAUTHORIZED ACCESS TO OR ALTERATION OF YOUR TRANSMISSIONS OR DATA, ERRORS OR OMISSIONS IN CONTENT ON OUR WEBSITE, STATEMENTS OR CONDUCT OF ANY THIRD PARTY ON OUR WEBSITE, INSTRUCTION, INFORMATION OR SERVICES PROVIDED BY OR LINKED FROM OUR WEBSITE OR ANY OTHER MATTER RELATING TO OUR WEBSITE. IN NO EVENT SHALL DAILYCARING.COM’S AND ITS SUPPLIERS’ CUMULATIVE LIABILITY FOR ANY AND ALL CLAIMS RELATING TO THE USE OF OUR WEBSITE EXCEED THE TOTAL AMOUNT OF FEES, IF ANY, THAT YOU PAID TO DAILYCARING.COM DURING THE PRIOR YEAR FOR THE SPECIFIC SERVICE AT ISSUE, OR $1,000, WHICHEVER AMOUNT IS LESS. Some jurisdictions do not allow these limitations, so the above limitations may not apply to you. 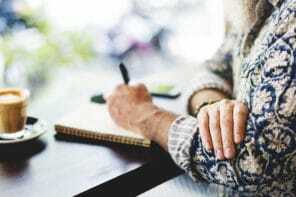 DAILYCARING.COM OFFERS INFORMATION RELATED TO CAREGIVING WHICH INCLUDES MEDICAL, LEGAL, FINANCIAL, HOUSING, AND OTHER INFORMATION RELATED TO CAREGIVING. THIS INFORMATION IS PROVIDED TO YOU FOR EDUCATIONAL AND INFORMATIONAL PURPOSES ONLY. ANY INFORMATION FOUND ON DAILYCARING.COM IS NOT A SUBSTITUTE FOR OBTAINING SPECIFIC MEDICAL, LEGAL, FINANCIAL, OR OTHER PROFESSIONAL OR LICENSED SERVICES ADVICE DIRECTLY APPLICABLE TO YOUR SITUATION. YOU SHOULD NOT RELY ON ANY INFORMATION ON DAILYCARING.COM AS A SUBSTITUTE FOR SUCH SERVICES OR ADVICE. THE USE OF ANY INFORMATION PROVIDED ON THIS WEBSITE IS SOLELY AT YOUR OWN RISK. ALWAYS SEEK THE ADVICE OF A PHYSICIAN, ATTORNEY, FINANCIAL, ADVISOR OR OTHER PROFESSIONAL OR LICENSED ADVISOR. NEVER DISREGARD MEDICAL, LEGAL, FINANCIAL, OR OTHER PROFESSIONAL OR LICENSED ADVICE OR DELAY IN SEEKING IT BECAUSE OF SOMETHING YOU HAVE READ ON DAILYCARING.COM. NOTHING STATED OR POSTED ON THIS WEBSITE OR AVAILABLE THROUGH ANY SERVICES IS INTENDED TO BE, AND MUST NOT BE TAKEN TO BE, THE PRACTICE OF MEDICINE OR LAW; OR FINANCIAL, PROFESSIONAL, OR LICENSED SERVICES. FOR PURPOSES OF THIS AGREEMENT, THE PRACTICE OF MEDICINE INCLUDES, WITHOUT LIMITATION, PSYCHIATRY, PSYCHOLOGY, PSYCHOTHERAPY, OR PROVIDING HEALTH CARE TREATMENT, INSTRUCTIONS, DIAGNOSIS, PROGNOSIS, OR ADVICE. DAILYCARING.COM PROVIDES NO ASSURANCES THAT THE INFORMATION CONTAINED IN THIS WEBSITE WILL ALWAYS INCLUDE THE MOST RECENT FINDINGS OR DEVELOPMENTS WITH RESPECT TO THE PARTICULAR MATERIAL. Your access or use of our Website and our services does not create in any way a physician/patient, attorney/client, confidential, or privileged relationship, or any other relationship that would give rise to any duties on DailyCaring.com’s part or the part of our suppliers, distributors, partners, and/or affiliates. We do not recommend or endorse any specific tests, physicians, attorneys, advisors, caregivers, procedures, opinions, advice, or other information that may appear on our Website. If you rely on any of the information provided by our Website, its employees, consultants, or its guests or visitors, you do so solely at your own risk. You shall indemnify, defend, and hold harmless DailyCaring.com, its affiliates, and their respective officers, employees, and agents from any and all claims, demands, damages, costs, and liabilities, including reasonable attorneys’ fees, made by any third party due to or arising out of your acts or omissions arising out of your use of DailyCaring.com. You and DailyCaring.com agree that any claim or controversy at law or equity that arises out of these Terms or your use of our Website shall be governed by California law (without regard to conflict of law provisions) and that the United Nations Convention on Contracts for the International Sale of Goods shall have no applicability. You and DailyCaring.com agree that all claims and actions related hereto shall be brought in the appropriate state or federal court located in San Mateo County, California, and you agree and submit to the exercise of personal jurisdiction of such courts for the purpose of litigating any such claim or action. DailyCaring.com is designed for users residing in the United States. We make no representation that content on DailyCaring.com is appropriate or available for use in locations outside the United States. If you choose to access DailyCaring.com from a location outside the United States, you do so on your own initiative and you are responsible for compliance with local laws. These Terms constitute the entire agreement between you and DailyCaring.com regarding this subject matter, and they govern your use of our Website. The failure of DailyCaring.com to exercise or enforce any right or provision of these Terms does not constitute a waiver of such right or provision. If a court of competent jurisdiction finds any provision of these Terms to be invalid, the parties nevertheless agree that the court should endeavor to give effect to the parties’ intentions as reflected in the provision, and the other provisions of these Terms remain in full force and effect. Regardless of any statute or law to the contrary, any claim or cause of action arising out of or related to use of DailyCaring.com or these Terms must be filed within one (1) year after such claim or cause of action arose or be forever barred. The section titles in these Terms are for convenience only and have no legal or contractual effect. © 2014 – 2015 DailyCaring, LLC. All rights reserved.